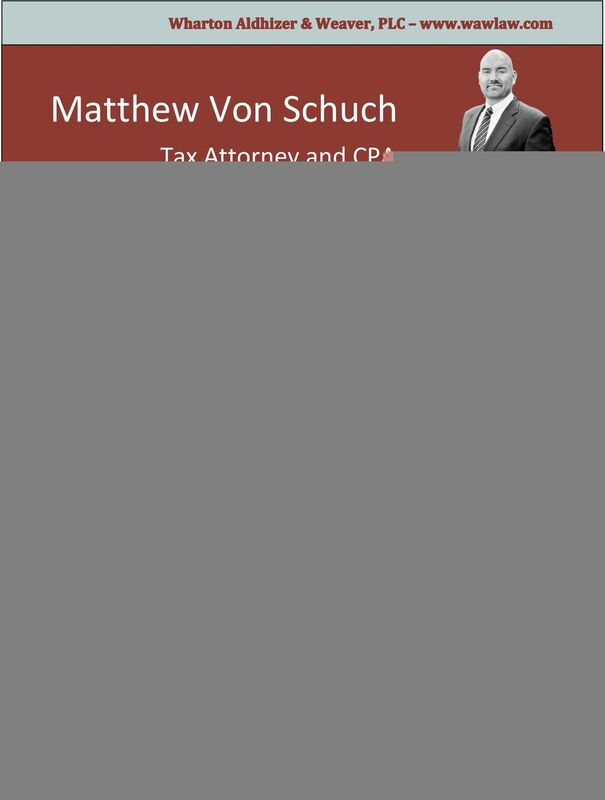 Download "Matthew Von Schuch. 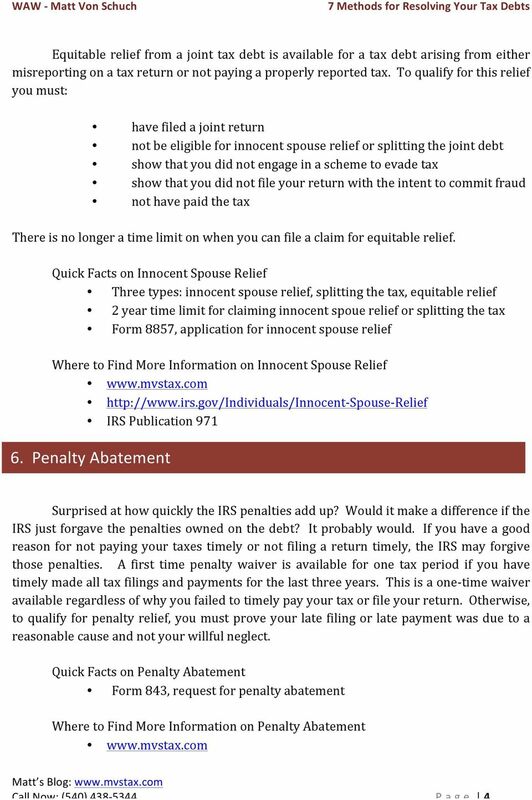 Tax Attorney and CPA"
Negligence. Negligence includes the lack of any reasonable attempt to comply with provisions of the Internal Revenue Code. BRIEF SUMMARY: The bill would amend the Revenue Act to create an "offer-in-compromise" program with Department of Treasury. DEBT RELIEF AGENCY CONTRACT Federal law requires that we enter into this Debt Relief Agency Contract within three business days after the first date on which we provide any bankruptcy assistance services. BRIEF SUMMARY: The bill amended the Revenue Act to create an "offer-in-compromise" program within the Department of Treasury. Bankruptcy Questions. 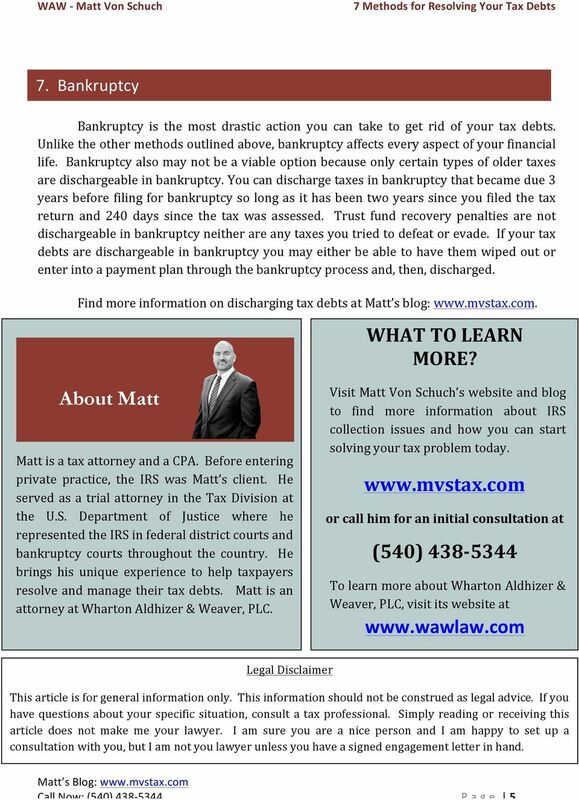 FAQ > Bankruptcy Questions WHAT IS CHAPTER 7 BANKRUPTCY? 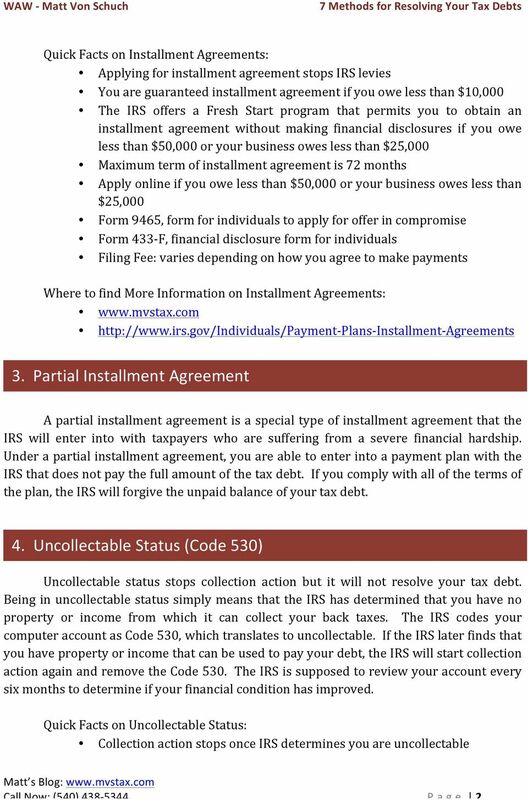 IMPORTANT INFORMATION ABOUT BANKRUPTCY ASSISTANCE SERVICES FROM AN ATTORNEY OR BANKRUPTCY PETITION PREPARER. GAO TAX ADMINISTRATION. 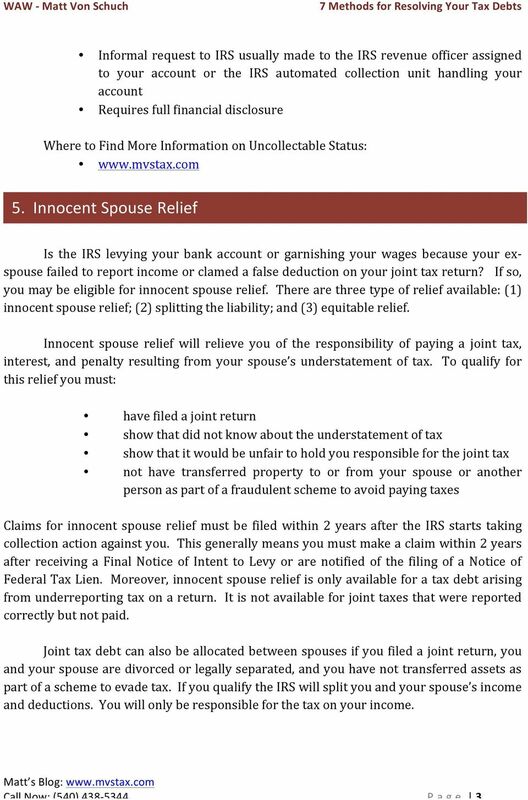 IRS Use of Enforcement Authorities to Collect Delinquent Taxes. Testimony Before the Committee on Finance, U.S.
Bankruptcy Filing and Federal Employment Taxes. Bad investments, too great an assumption of risk, circumstances beyond their control. I. What causes someone to file for bankruptcy? Bad investments, too great an assumption of risk, circumstances beyond their control. II. The options A. Individuals Chapter 7, Chapter 11, i Chapter 13 B. Chapter 12 is a reorganization for family farmers and fishing families, which is similar to Chapter 13. GENERAL INFORMATION ABOUT THE BANKRUPTCY SYSTEM INCLUDING THE RIGHTS AND DUTIES OF CHAPTER 13 DEBTORS (and other information necessary to assist a debtor in completion of the chapter 13 plan) WHAT IS BANKRUPTCY? 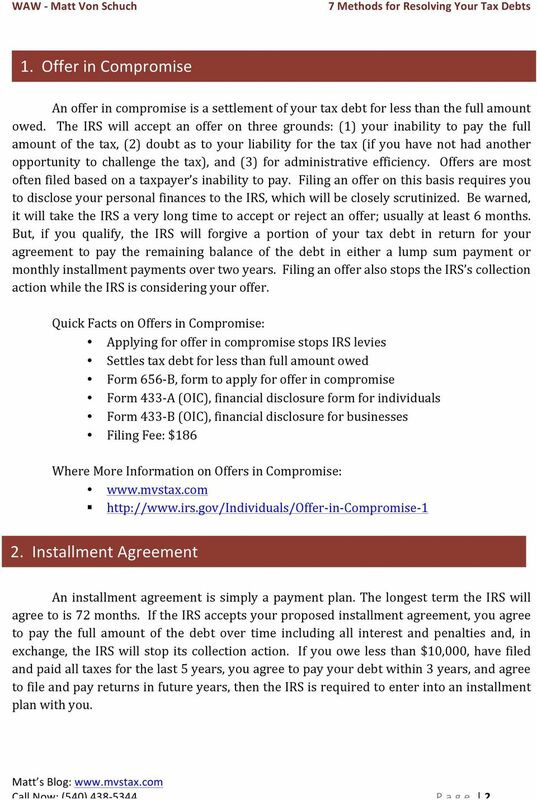 >A favorable payment opportunity for taxpayers financially impacted by a weakened economy to pay current outstanding individual income tax debts. Bankruptcy Guide for Beginners Answers to 20 common bankruptcy questions We hope you find this guide useful and informative. We look forward to helping you eliminate debt and get a fresh financial start. Bankruptcy. Individuals and businesses use bankruptcy as a way to obtain relief from debts owed to creditors.